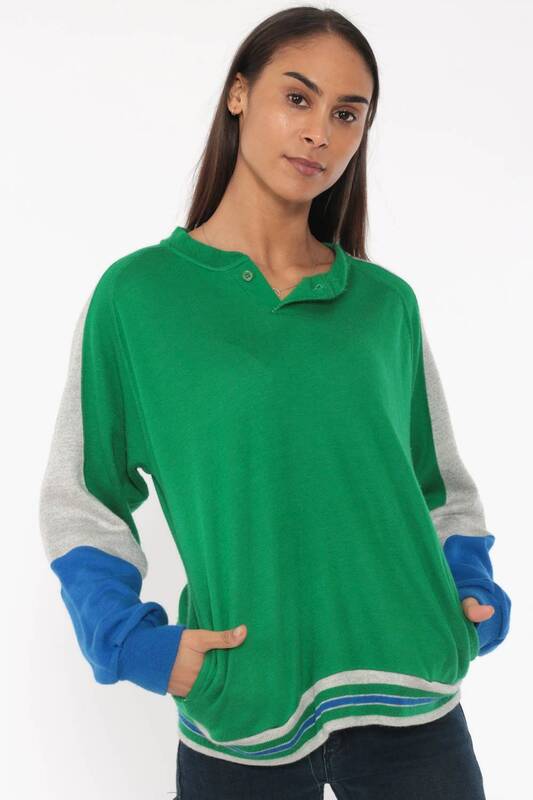 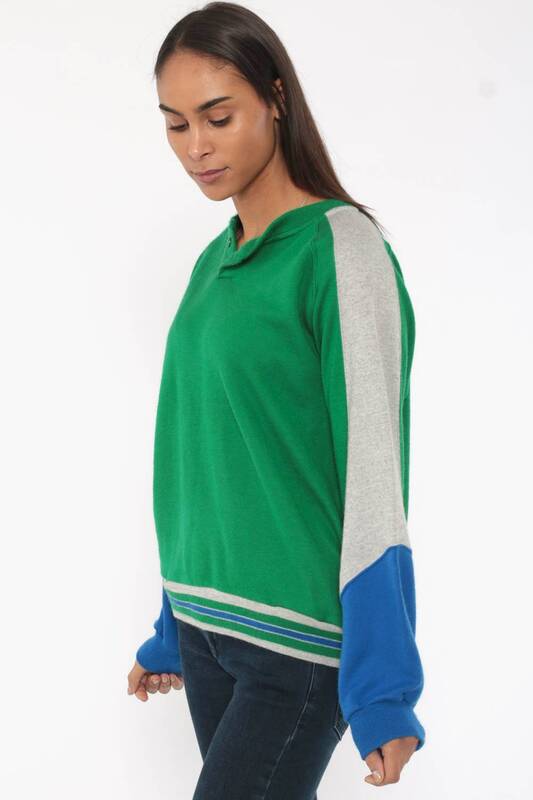 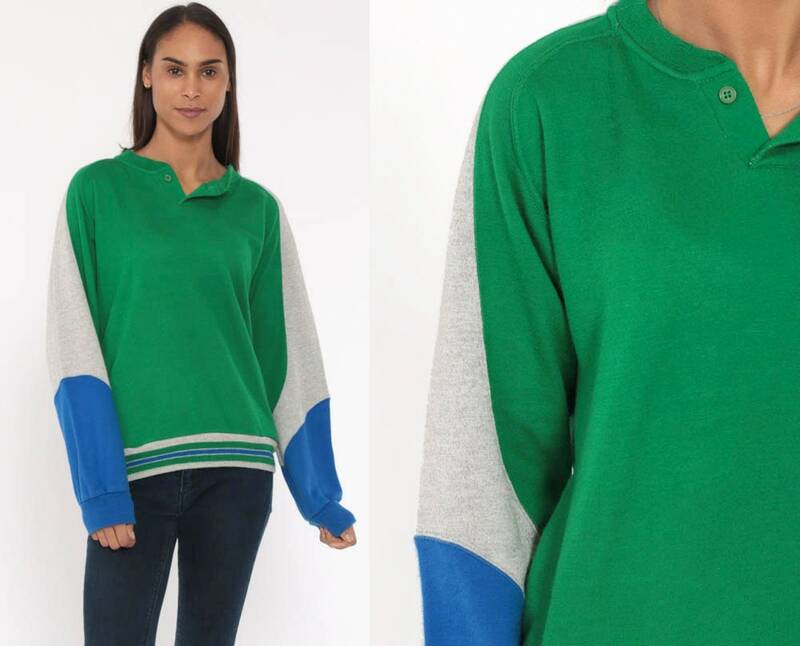 Vintage 80s sweatshirt in green with blue and gray sleeves. 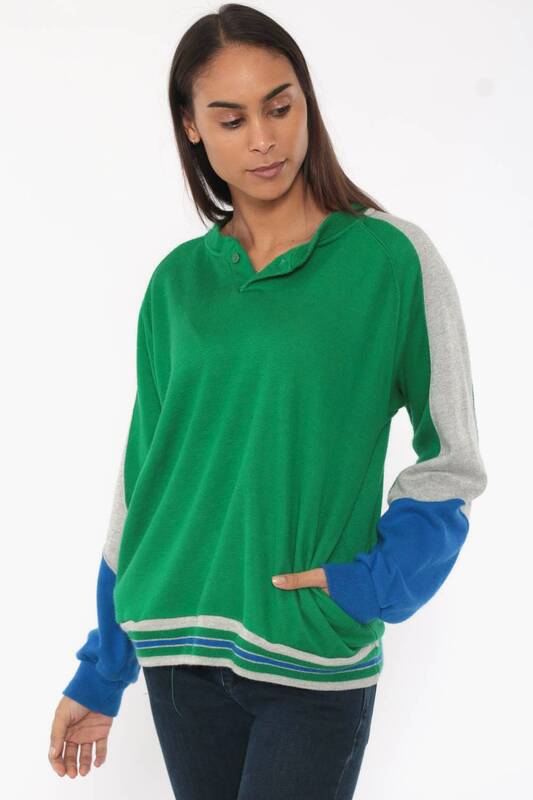 Buttons at the neck with a slouchy fit. 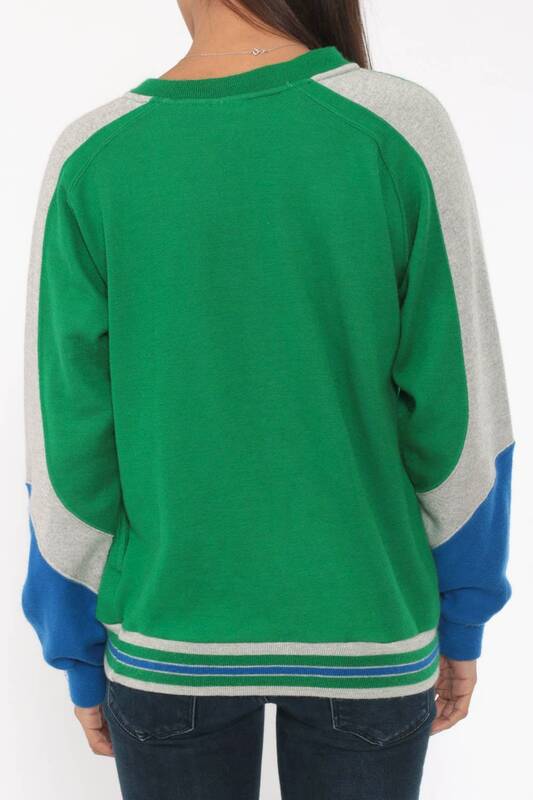 Has hip pockets.